While wheelchairs are usually thought of a medical device that is meant to help those who are injured or have physical challenges, they can also be a source of injury when not properly used. In 2003, there were over 100,000 emergency room visits for wheelchair injuries, double from only a decade earlier. The surprising and disturbing fact is that many of these injuries happened in a medical setting such as a hospital or nursing home, where such accidents are completely preventable. When it comes to wheelchair accidents in Chicago nursing homes, Rosenfeld Injury Lawyers LLC is committed to protecting the legal rights of injured patients. Unlike other types of accidents involving nursing home patients, most incidents involving a patient's wheelchair are commonly due to negligent staff. Our experience with cases involving wheelchair accidents allows us to evaluate your case quickly and advise of the best way to proceed. Between 65-80% of the injuries across all age groups were attributed to falls from the wheelchair or tipping over of the wheelchair. The most common injuries reported were fractures, lacerations and contusions. 94% of wheelchair injuries to those 65-years of age or older happened in a medical institution or at home. The main concern is that so many of the injuries, especially in the elderly, happened in medically supervised institutions such as hospitals and nursing homes. Through neglect, negligence or lack of training, thousands of people each year are needlessly injured in wheelchair accidents. Transfers. Transferring a patient to and from the wheelchair is a very common cause for falls and injuries in medical facilities. Patients need assistance to move from the bed to the wheelchair and from the wheelchair to the toilet or bath area, another chair or back into bed. Wheel locks. Injuries can happen when a medical staff member does not ensure the wheel lock or brake is on before transferring a patient or when transporting in a vehicle. Pressure sores. Patients who are not given proper padding or who are left too long in wheelchairs by medical staff may sustain pressure sores. Crushed limbs. Medical staff need to prevent fingers and other limbs from getting caught in a wheelchair’s moving parts. Medical transportation. Anytime a wheelchair patient is taken to a medical appointment or recreational event, staff at the medical facility and/or medical transportation company must ensure that patients are loaded properly on the van and properly secured during transport. An abrupt stop or turn can easily send a wheelchair patient onto the floor and seriously injure him or her. Training for Staff. 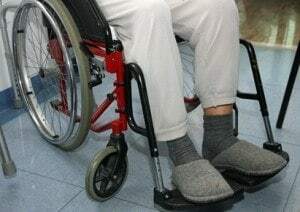 Ensure that all medical staff understands the correct safety procedures for caring for those confined to wheelchairs, including preventing pressure sores, proper transfer techniques and need for supervision. Maintenance of Wheelchairs. Make sure that all wheelchairs are properly maintained and that all features such as wheel locks are working properly. Safe Environment. Medical facilities need to ensure that all physical dangers to those in wheelchairs such as open stairwells and cluttered hallways are avoided. Further, exterior areas such as ramps and smoking areas should have railings to avoiding wheelchair patients from falling off an elevated area. Are You Considering Pursuing An Illinois Wheelchair Accident Lawsuit For Yourself or Loved One? Wheelchair accidents and injuries that happen in a medical setting are often caused by negligence, which can mean that the facility is liable for compensating the person for the injury. If you or a family member has sustained a wheelchair injury that was caused or should have been prevented by medical staff, you may be eligible to receive a financial award for the injury. 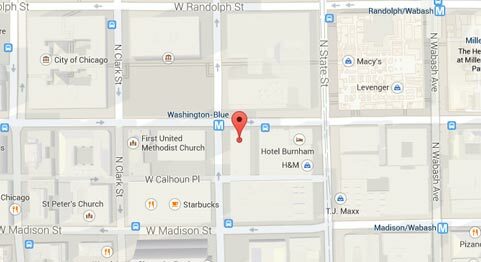 At Rosenfeld Injury Lawyers LLC, we have experience handling these type of accidents and have prosecuted Chicago medical lawsuits involving nursing homes, assisted living facilities and hospitals. We would be honored to discuss your case with you at a free consultation. There is no obligation to use our services, however, if we represent your case, there is never any fee to you unless we obtain a financial award in your case.